Every year, millions of parents send their children off to a college or to a university looking for their son or daughter to improve in math, science, humanities, or whatever it is that they are studying. They are looking for an educational foundation to be laid so that once their child leaves college that he or she is able to successfully integrate into the workplace or move onto graduate school. While the vast majority of these institutions do a fine job of ensuring that their students are prepared for their next step of life, at least from an educational stand point, it seems that only a small percentage are concerned with how they develop the young men or women so that they are prepared for their next step of life beyond the academic preparation. The news continually speaks of a privileged group of young men and women in our nation’s colleges and universities, who need safe spaces and mental health days, while being unable to hear opposing points of view because it is too upsetting to them. It is leaving great concern about the future of this nation. However, there is one educator, who is bucking the system. His classroom is not in a lab or an auditorium, but is instead on the football field, where he is not only helping young men to become better football players, but is more focused on helping his players to be men who embrace adversity head on. Who are not only ready to succeed in the workplace, but are ready to be great husbands, dads, neighbors, and maybe even community leaders. A coach who believes that he is more responsible for developing his players as men of quality than making them into great safeties, quarterbacks, or lineman. That man is Benedictine University Head Football Coach Josiah Sears. Like many football coaches, the sport was a true passion for Josiah Sears. So much so that he changed his own career pathway, opting to become a coach instead of a captain of industry. Coach Sears was influenced by many into the field, but it was not actually a coach who gave him the greatest inspiration of all. To Coach Sears, deciding to become a football coach was a lot more than an opportunity to help young men to grow and mature. He saw this as a calling from God, and knew that when you hear “Thus saith the Lord” there is really only one option at that point. 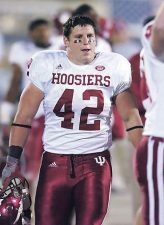 Josiah Sears attended the University of Indiana where he was a walk-on with the football program and wound up becoming a captain. The running back/fullback helped the team to break a drought of 14 seasons since they had reached their last bowl game, and his tenacity and skill earned him an NFL tryout with both the Buffalo Bills and the Chicago Bears. 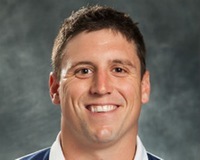 After graduating from IU, Coach Sears moved onto become the offensive coordinator and quarterbacks coach at Franklin College. During his five years at the school, the Grizzlies advanced to the NCAA Divisions-III playoffs four times, and the team went 44-11 (.800) during his tenure. Success was not just in wins and losses, however. The Franklin offense set several school records during his tenure and two of the quarterbacks he coached were named the Heartland Collegiate Athletic Conference Player of the Year. He even had a finalist for the Gagliardi Trophy, which recognizes the top player in all of Division-III football. 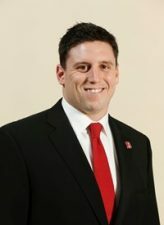 After five seasons, the Coach took the offensive coordinator position at Wheaton College where he would serve for three seasons. In three years, the Thunder had two undefeated seasons, the first time they had back-to-back seasons without a regular seasons loss, and the team made it to the national playoffs twice, advancing to the third round both years. When a coach has that kind of success he is going to garner attention, and that is what happened for Josiah Sears. 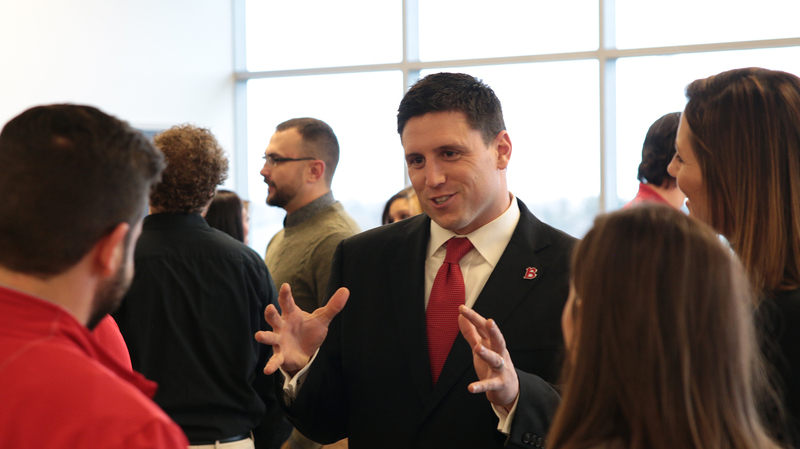 In 2016, Benedictine University was looking for a new coach and wanted to ensure that their new leader kept the winning tradition at the school alive. It was not only a golden opportunity for the school to hire a proven talent, but was a great opportunity for the Coach as well. 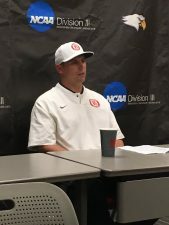 Josiah Sears became the head coach for the Benedictine Eagles in 2016, and wanted to create a culture that went far beyond success on the field. His focus was on helping young men to become greater successes in life. Coach Sears understood that to be successful on the field, these young men had to be successful in the classroom, in their personal life, and also in how they carried themselves. The process began from there. 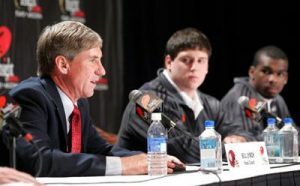 To accomplish this, his first order of business was to ensure that he hired assistant coaches who not only had the same vision as him, but who were ready to dedicate themselves to the success of the young men they would coach. It became a litmus test of sorts. The Eagles went 6-4 in the first season under Head Coach Josiah Sears, the fourth straight season that Benedictine had a winning record. It was an impressive start, but what was most impressive was that three of the four losses were by six points or less, including a three-point loss to Northern Athletics Collegiate Conference (NACC) champion Lakeland University and a one point loss to Aurora. This season, Benedictine is 3-2, losing to his former team to start the season, and then winning three of their next four games, only falling by five points to Alma during that time. The success is apparent and is a product of the concern that the coaching staff has for their players. This philosophy is not just about helping players to grow. What makes this focus work is that there is genuine affection that the coach and his staff have for the team. They care a great deal about these young men, and are not afraid to share their concern and affection. The culture is not just for coaches, however. Coach Sears wants his players to be equally invested in looking out after each other, including for the coaching staff. It starts with a simple approach. Football is a sport where the attention to detail is as much a part of the success of a team as anything else. Having your feet in the perfect position can be the difference between a pass defense and a 70 yard touchdown. Being positioned six inches further to the left of the quarterback can mean that a running back breaks off a 10 yard run instead of missing the pitch. Building a team that is dedicated to all the little things can be a huge difference maker. Josiah Sears completely understands how important this is, and so he has developed a unique 14 step program that not only helps to build great leaders, but to build exceptional men in general. “The way we have it set up we have kind of a four year, a four level approach to leadership in developing a championship football program. What we say is that we are developing a culture of leaders and champions. “Basically, year one, their focus is on being a good teammate. That’s mostly your freshman. Basically, there are four characteristics or attributes that we focus on. We focus on developing teammate skills, being a great teammate, we focus on work ethic, we focus on care, we focus on enthusiasm or having positive energy on what we’re doing. We also focus on commitment. In level II, which is likely your sophomore class, we focus on the mental approach to football and the mental approach to life. There we talk about attitude, we talk about choosing to have a positive attitude, whether things are going your way or things are going someone else’s way. We focus on toughness, mental and physical toughness. We focus on being a person who competes, who always competes to give his best effort in everything he does, and we focus on persistence, not quitting when things are not going your way. The last thing you should do is quit. That all starts in your mind in making that mental choice. “Level III is how we see the world outside of ourselves. What we do for other people. This is likely our junior class, we talk about being a humble person, we talk about believing in myself first, believing in my teammate that’s next to me, believing in the vision of our football program and what it’s trying to accomplish together. We talk about me, you, us as far as belief. Then gratitude, I think gratitude is one of the most fleeting characteristics in our society. People don’t say thank you to each other, people aren’t grateful for what another person has done. I tell our young men all the time that you’ve never met a person in your life who was too thankful. Always be a person who is filled with gratitude. It takes a whole lot of things to build a successful program of any type, not just in football. It takes good leaders, great workers who are willing to follow that leader to the depths of hell, great administrators, and so much more. This is true on the gridiron as well, but what many people don’t recognize is that success for a football team often occurs because the head coach has an amazing wife at home who is doing a lot of the work to keep the family moving forward, because the coach has to put in a 16 hour day, every day. 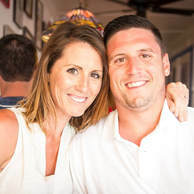 No one understands the importance his wife plays to the success of his program more than Josiah Sears. A successful culture also means modeling the behaviors you expect from your players. If Coach Sears wants his players to be caring individuals, he has to show that he cares, if he wants them to be hard workers, he better work harder than them all, and if he expects them to leave the college and be good dads, he knows he better be a great father as well. It’s a lesson he learned from a good friend. I got some really great advice from someone very early on in my coaching career who I worked with was a very good friend abide who told me, Josiah, when you leave this building and you drive home and you pull in your driveway your wife and your kids they don’t care how your day went. They don’t care if you’re facing a hard time. They are just so happy that your home and there is truth in that. It’s not that she doesn’t care about my day, she definitely cares how practice went and how the young men are doing, but to a certain degree I have a six-year-old and a three-year-old and they’re just happy that I’m home. They’re just happy that dad is going to come home and wrestle with them and tickle them and whatever the case may be, so it’s really important that each day, whatever time that is, that when I shut the door to the car that I at least shut that off whatever is going on back here long enough to be really present with my kids, to be really present with my wife. Coaching is an awesome responsibility, and one that Josiah Sears takes quite seriously. He has proven to be quite successful in helping young men to become better football players and better men in general, but he admits that this can be a very aggravating passion at times. It is then that he draws on his greatest inspiration to help guide him. It truly is all about education for Josiah Sears. The most ironic part is that he didn’t go to college looking to become a teacher. He doesn’t have an education degree and doesn’t know all the models that are supposed to make an instructor more successful. All he knows is that he has a passion for his players; a passion to see them succeed and become champions – champions on the field, champions in the classroom, champions in the workplace, at home and with their families. The Benedictine University football coach is helping lead young men to greatness, giving a whole lot more hope for the future. For that, let us all display Level III and be eternally grateful.